William Kelleher, associate professor of anthropology at the Maxwell School since 2005, passed away on Sept. 18 in Syracuse. A cultural anthropologist, Kelleher was an affiliate of the European Union Center in the Moynihan Institute of Global Affairs, and much of his recent work dealt with issues in Ireland. His 2003 book, “The Troubles in Ballybogoin: Memory and Identity in Northern Ireland” (University of Michigan Press, 2004), was widely acclaimed; he also authored a number of articles and book chapters, many of which dealt with issues in Ireland. Kelleher was a popular teacher who was currently working on a project that examines peacemaking and healing among Irish nationalists in the borderlands of Northern Ireland and the Republic of Ireland. The study takes account of the suffering caused by past political violence and the processes by which both victims and perpetrators of violence attempt to heal, re-establish themselves as citizens and construct civil society. In 2002, Kelleher co-founded the Ethnography of the University Project at the University of Illinois, Urbana-Champaign, which worked to involve undergraduate students in researching the institutions that surround them. As part of an interdisciplinary group of undergraduate students and faculty members, he completed a yearlong ethnography of an intensive effort by the University of Illinois to commemorate the 50th anniversary of the Brown v. Board of Education Supreme Court decision. 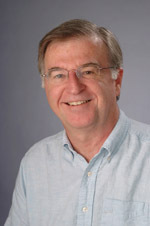 Kelleher’s research focused on labor and class relations, the anthropology of work, the effects of long-term political violence on everyday life, the work of historical memory in reproducing such violent conflict and the ethnography of race in institutions of American higher education. His specialties were colonialism and post-colonialism, religion and politics, North America and Ireland, where he spent several years on ethnographic research. Kelleher’s off-campus activities included service on the board of the Syracuse Model Neighborhood Facility and assistance to released inmates transitioning to life after prison. He was also a member of the parish council at St. Lucy’s Church. Funeral services will be on Saturday at 1p.m. at St. Lucy’s Church, 432 Gifford St. Calling hours will be held Friday, 4-7 p.m. at the Edward J. Ryan & Son Funeral Home, 3180 Bellevue Ave.
Burial will be in Massachusetts. In lieu of flowers, contributions in Kelleher’s memory may be made to the Department of Anthropology, Maxwell School of Syracuse University, 209 Maxwell Hall, Syracuse, NY 13244 to support student projects.